Without question, the sweethearts of HGTV are Ben and Erin Napier. Their Southern charm is shown whether they are showing a house as a future home, ripping down a wall, or talking to the many vendors used for Home Town. Plus they are such a cute couple together. 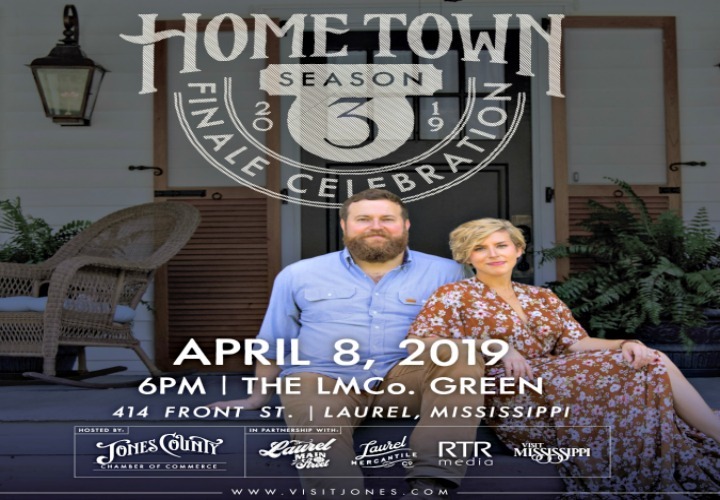 As many small towns love to come together as a community, the city of Laurel plans a street party for Home Town Finale on Monday, April 8. And you are all invited. Have you lived in a small town? I have and I mean small. Most of my elementary and high school years was in towns of about 700 and 200. If you grew up in a larger city, I’m sure you can’t even imagine what it’s like. Of course, this was back in the days where there were no Starbucks, fast food places were the norm, or a convenience store on every corner. We went to the local “store” and charged what we bought. Sometimes I think those were the days. 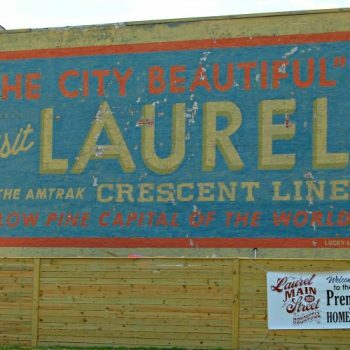 Having that community feel has brought a revitalization to Laurel over the past decade, even before HGTV came to town. With the spotlight on their town now, not only is the city of Laurel and Jones County, continuing their revitalization, but seeing growth in the area, some being helped by the number of visitors you can find around town. I had the pleasure of making a stop in Laurel for an afternoon while we were on a road trip a couple years ago. Not only are many doing this for a few hours, but it’s now becoming a destination for a day or weekend trip. 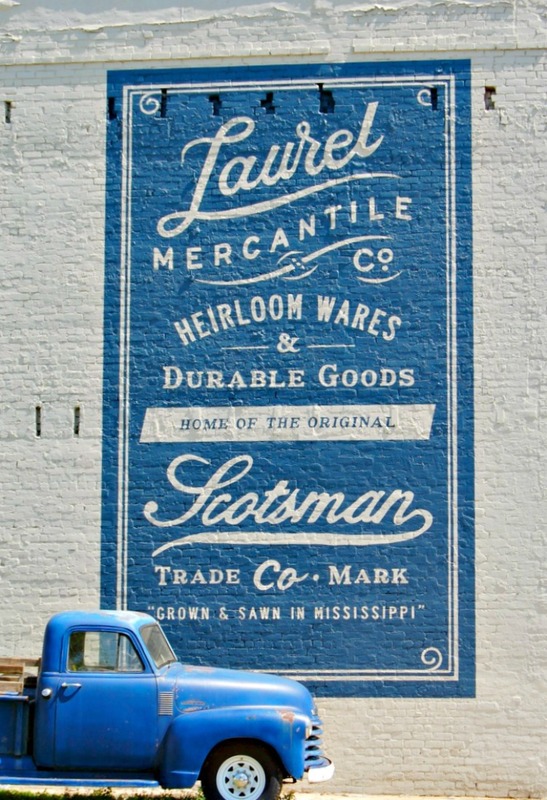 The first stop is usually Laurel Mercantile, a shop co-owned by the Napiers. 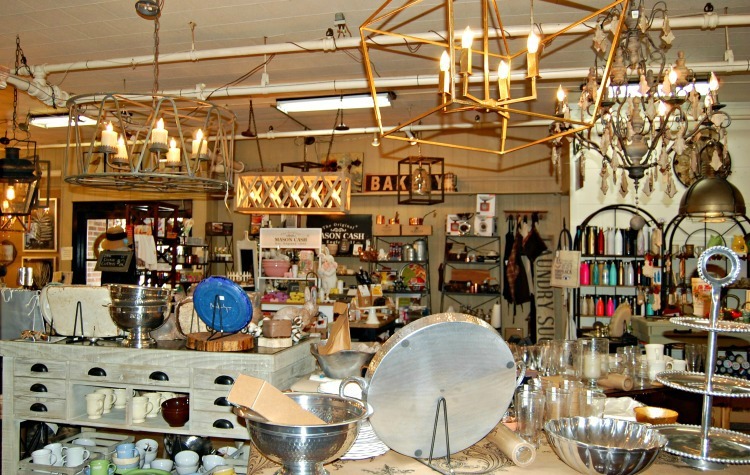 Not only do you find vintage finds but also local art and woodworks made by them. You will find a wealth of information too including a map of some of Ben & Erin’s favorite spots for shopping and dining. Some of these places have also been seen on the show, or contributed to the furnishings. A couple of the places I visited on my trip was The Knight Butcher and Southern Antiques. You can see my post about my visit here. Southern Antiques has been open since 1995 in it’s present location. It was included in the pilot episode and an episode during season one. Several employees and others assoicated with the shop have been featured as the homeowners on the show. Their gift line collection has expanded to accommodate visitors who might be traveling and need those smaller items easy to take with them. The downstairs is filled with gifts, furniture, chandeliers, and homegoods but the upper level has over 40 local and regional vendors and artists. Recently added is an antique rug dealer and a new outdoor/gardening area just in time for Spring. Andrea Milham, owner of Southern Antiques, says living in this small town has so many advantages, not just the location which is just a few hours away from the Mississippi gulf coast, Jackson, Mobile, or New Orleans. That’s another reason Laurel attracts a lot of visitors so they “stop by” on there way to these other area. Living in the historic area, which is often featured on the show, allows here to walk to work and jokes about leaving at the same time you have to be somewhere. Many of us in a larger city always have to allow for traffic. Of course it’s the beauty of the area and the people who makes living there and make it truly worthwhile. Several newer shops in the downtown area actually started as booth owners at Southern Antiques such as Adam Trest Home, Sonny and Cille Screenprinting and Patinas Laurel. Maybe I can visit them on my next trip. 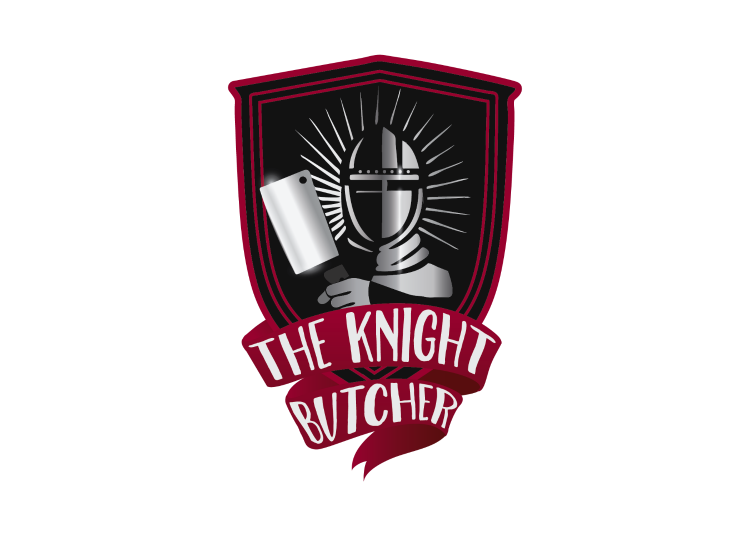 Another local shop which I would love to visit daily is The Knight Butcher. Oh the smokey smell of their Jerky gets you at the door. Since we were traveling, a few bags of Jerky came home with us as it’s a favorite of our son. Next time, maybe we will be on our way home and a cooler can be filled with the vast variety of beef, pork, poultry and lamb that is fresh cut and sold Monday – Saturday. 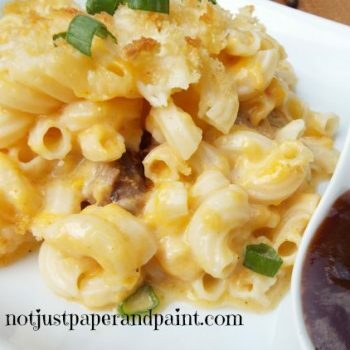 Coming up in May is their four year anniversary of opening in the same location on Central Avenue. You will see their building several times throughout all the seasons with a scene being filmed inside the shop in Episode 10. Not only are they known for the Butcher Shop, but their fudge and jerky are becoming well-known as well. Finding a real butcher shop is hard to find, which makes this shop another great place to visit by tourists. Many take a lot of pictures as they have never been in a real butcher shop of this type. A new item to the shop is their own Gourmet Deli Trays and Knight Snack (Lunchables) which are a big hit with locals and visitors. Owned by Chad and Terri Knight, they were in the process of moving back to Laurel and opening The Knight Butcher about the time Ben & Erin were in the beginning phase of their show. But they didn’t know it at the time. As I said earlier, the movement for making Laurel special was in the works long before they were found by HGTV. Chad is the Head Butcher and Operations Manager with Terri making the famous fudge and running the marketing and social media. That community feel comes together as local businesses truly support each other. The main mission of the Butcher shop is to not only provide amazing food but also to make Laurel a better place to live and visit. You don’t always have to go to the “big city” for the best things. I hope when you visit, make sure to check out these businesses along with so many more as you stroll the streets. One thing to remember is many of these are closed on Sundays. I always suggest calling ahead to confirm hours of anyplace you plan to visit. There are plans to visit again in August and hopefully this time have the chance to stay in one of the B & B’s, sample more of the local food, and do a little more retail therapy . A great source for information for visiting any place is the The Chamber of Commerce, which usually includes the Visitor Center. 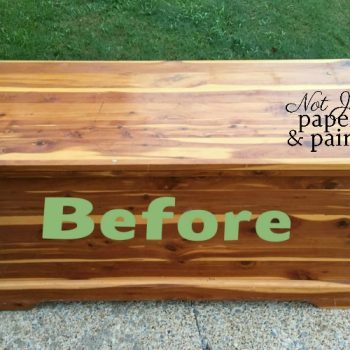 Along with the community feel with the local businesses, there’s also a passion among them to make their town better and keep that small town feel. 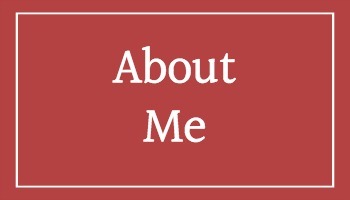 You may even find other websites and FaceBook pages now such as Main Street Laurel with a wealth of ideas. Oh, and that Season Finale Block Party – Monday, April 8 at 8:00 pm (CST) on a big screen at Laurel Mercantile Co.
All the details can be found here. There’s a few special events on Sunday if you are in town then all afternoon on Monday. Thanks to everyone for sharing your photos. 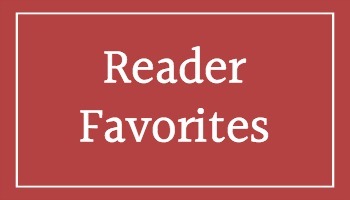 I know they would love you checking out their sites and following them. Have you been to Laurel? 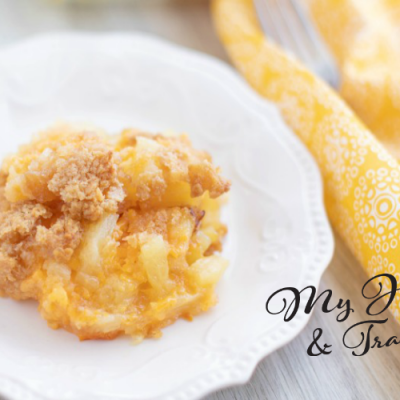 Let me know your favorite spots to visit whether it’s a eatery, shop, or attraction. You know I’m always looking for those unique places. Do you live, or ever lived in a small town? Let me know your thoughts and memories.